George Alfred Curry, 1852-1924. Spring Hill Cemetery, Harrodsburg, Mercer County, Kentucky. Seldom has a community felt the death of a citizen more keenly than the passing of Mr. George Alfred Curry, whose life closed Satur­day morning, May 16 about 7 o’clock at Norton Memorial Infirm­ary, Louisville. Two months ago he submitted to a serious operation, and for a while there was hope of his recovery, but complications devel­oped which he could not combat and in spite of medical skill and care­ful watching he fell asleep to find peace from suffering. 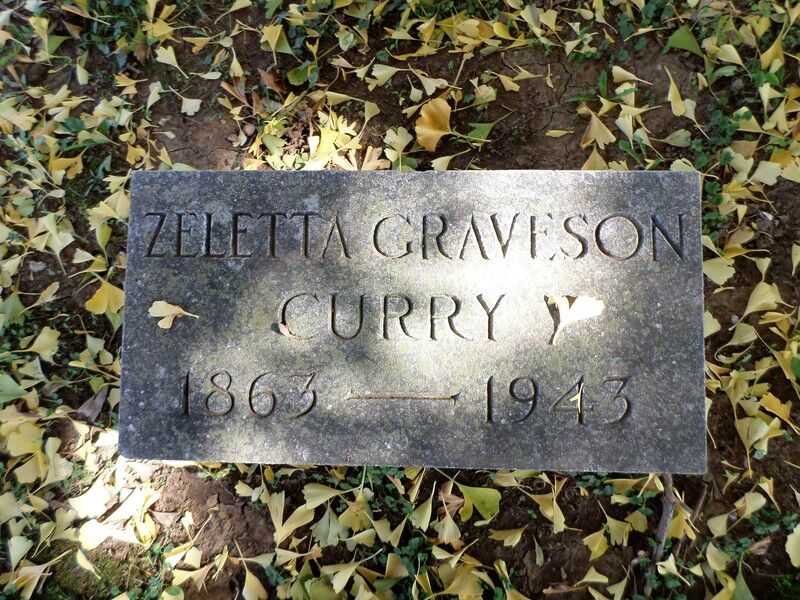 Mrs. Curry remained in Louis­ville with him all through his illness, and at the last she was joined by Mr. Curry’s sister, Mrs. C. M. Dedman, and Mr. Curry Dedman, of this city. They accompanied the remains to his home here, and the funeral was held Monday after­noon at 2:30 at the United Presbyterian church, conducted by his pastor, Rev. S. S Daughtry, and his former pastor during his several years’ residence in Louisville, Dr. Samuel Callen, of the Warren Memorial Presby­terian church. the interment was in Spring Hill Cemetery. The funeral was one of the most largely attended here in some time, and the floral tributes beautiful. The honorary pall bearers were Mr. Curry’s brother elders in the United Presbyte­rian church: Judge J. W. Davenport, Messrs. G. W. Edwards, J. E. Stagg, E. H. Davis, W. B. Davis, W. C, Rue, I. E. White­nack, N. L. VanArsdale, F. D. Curry, and also Messrs. L. M. Rue, Bush W. Allin and Glave Goddard. The active pall bearers were Messrs. E. F. Scott, Louisville; Lafon Riker, Lexington; Dr. J. C. Acheson, Danville; Messrs. L. C. Riker, W. C. Rue and L. D. Brewer, Harrodsburg. The death of Mr. Curry takes from this communi­ty one of its best and most progressive citi­zens, as well as a high minded Christian gentle­man. He was the first to make a subscription in the Pioneer Memorial movement. Interested in every step for the betterment of conditions here, and with an unu­sual appreciation for the beautiful, he was one of the prime movers in every effort to add to the attractiveness of the town. Two of his outstanding works of this kind in which he took the initial part and directed the work were the beautifying of the yard of the Presby­terian church and the Court House Square, the latter labor he only lived to see almost completed, but it will remain a living monument to his enterprise. Mr. Curry was the son of William Thomas Curry and Elizabeth Butler Curry, members of old represen­tative families here. He was born in Harrodsburg and spent all his life as a citizen here except a few years when he resided in Louisville.. He was married to Miss Zelletta Graveson, of Cincinnati in 1884. He was a member of the firm of D. J. Curry & Co., later he entered the insurance field and for 32 years has been the representative of the Great American Insurance Company, of New York, in Kentucky and Tennessee, a record seldom ex­celled, building up for the company in these two states a band of splen­did agents and a fine clientele. Mr. Robert Glass, of New York, was the company’s represen­tative here for the funeral. For a long period of years Mr. Curry served the United Presbyterian church as an elder; during his three years’ residence in Louisville he was also an elder in the Warren Memorial church, and organized a splendid Men’s Bible Class, the members of which were tireless in their atten­tion to him while at the Infirmary, a committee calling every Sunday morning with flowers from the class. 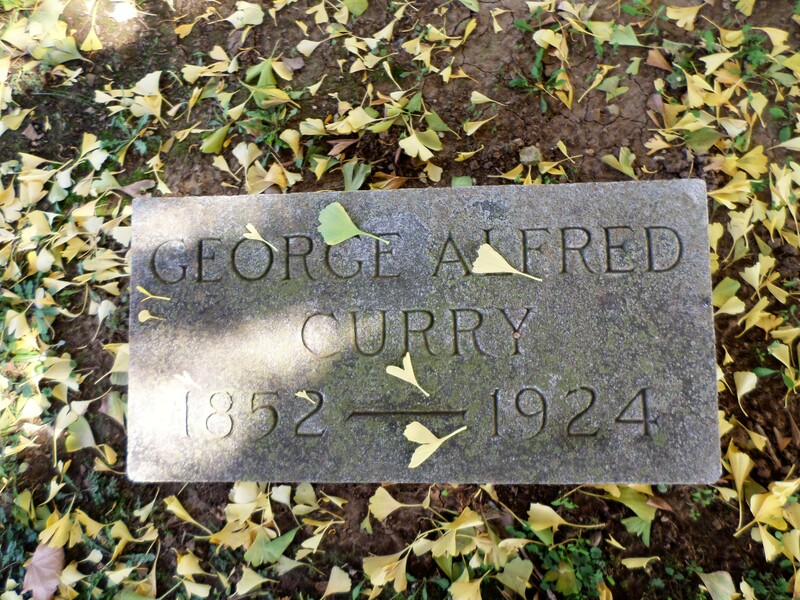 Mr. Curry is survived by his widow, two brothers, Messrs. R. P. Curry, Lexington, and W. T. Curry, Covington, and a sister, Mrs. Charles M. Dedman, Harrodsburg, besides a host of rela­tives and friends. Out of town people here to attend the funeral were Dr. Callen, Mr. E. F. Scott, Louisville; Mrs. Charles Murnier, Louisville; Mr. Robert L. Glass, New York City; Mr. Thomas M. Woodruff, Lexington: Mr. B. B. Bean, Lexington; Mr. M. C. Miller, Lexington; Mr. Lafon Riker, Lexing­ton; Mrs. B. W. Robin­son, Akron O.; Mrs. J. T. Smith, East Liver­pool, O.; Mrs. Theodora Tunis, Lexington; Mr. and Mrs. R. P. Curry, Lexington; Mr. Claude E. Ford, Cincinnati; Mrs. Pierce Adkins, Cincinna­ti, Mr. W. T. Curry, Covington; Miss Kate Mayes, Mrs. R. Wharton, Mr. and Mrs. Sebe Mayes, Springfield. 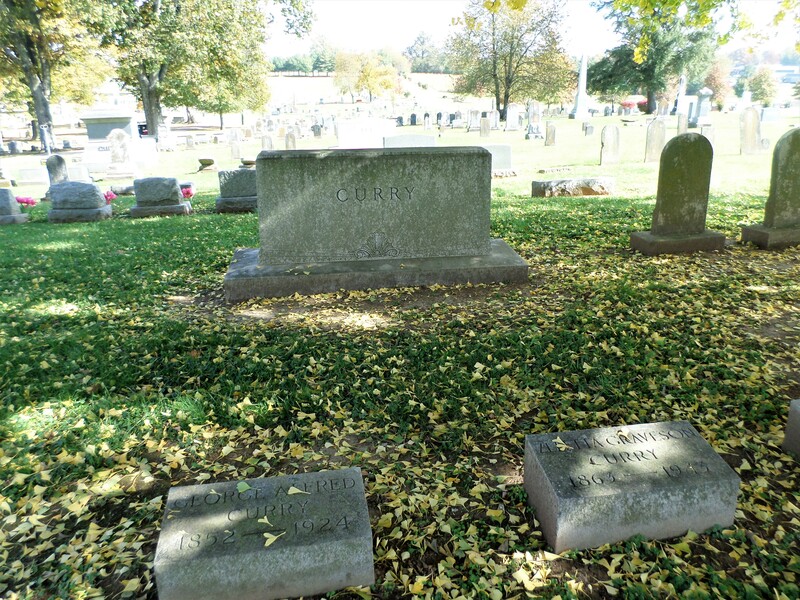 Mrs. Zeletta Graveson Curry, widow of Mr. George Alfred Curry, died at 1 o’clock Wednesday afternoon, May 26, 1943, at her home, Diamond Point, following a heart attack at 4 o’clock that morning. She was the daughter of William and Lettie Smith Graveson, formerly of Cincinnati, but had resided here since her marriage when 19 years old and was one of this city’s most valuable citizens, leading in club, social and church activities with the culture of the true gentlewoman. The funeral will be at 2:30 this afternoon at the United Presbyterian church, conducted by her pastor, Dr. John W. Carpenter, assisted by Rev. T. Hassell Bowen, pastor of the Harrodsburg Christian church. Burial will be in Spring Hill cemetery. She is survived by a close friend, Miss Clara Chappelle, who resided with her; devoted relatives of her husband, T. Curry Dedman and family, Misses Bessie and Nell Dedman, Harrodsburg, Mrs. C. E. Ford, Mrs. Verna Walker and John E. Curry, Cincinnati, and Mr. Glave Curry, Beechwood, Ind., cousins, Wilson Smith, East Liverpool, O.; Misses Ella and Grace Graveson, Cincinnati, Mrs. Andrew S. Robinson, and Mrs. John Pflueger, Akron, Ohio, and a few more distant relatives. Mrs. Curry was active and valuable in many civic organizations. She was a charter member of the Harrodsburg Library and served as chairman of its board for 14 years, and continually in its service since its founding about 40 years ago; a charter member of the Woman’s Club of Harrodsburg organized in 1911, serving two terms as its president and always active in its work; ex-president of the Past Presidents club; former treasurer of the Kentucky State Federation of Woman’s Clubs. In 1940 when the General Federation of Woman’s Clubs observed its 50th anniversary, Mrs. Curry was awarded the medal by the organization for “the woman who had the longest and most outstanding record of leadership in club work.” She began her club activities in 1895. Mrs. Curry was a member of the Jane McAfee Chapter, D. A. R. and held many offices in the organization. She was faithful in the activities of the Presbyterian church and the woman’s auxiliary, and for a long period of years she was the teacher of the Young Women’s Bible Class of her Sunday school. She was also a member of the Danville Business and Professional Women’s Club, and member of the Woman’s Council for Girl Reserve. Her community interests covered all charitable and civic movements for good, and the day before her passing she gave a generous portion of her time, as was her custom, to making surgical dressings at the Red Cross room at the Armory. Her pall bearers will be Charles M. Dedman, T. Curry Dedman, Jr., William H. Riker, Charles N. Riker, Arthur Bonta, Charles A. Davis, Ralph Davenport and Errol W. Draffen.